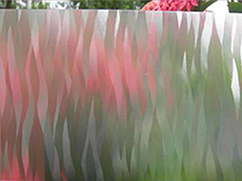 These Specialty Etch Films give you the variety and versatility to create an entirely new environment. With distinctly different patterns, you can add privacy in homes, offices and commercial areas. The 425 Panes Etch has frosted squares 1-3/16 " x 1-3/16". 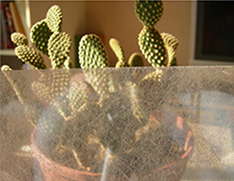 The translucent squares of embossed vinyl film are separated by clear lines. This product is ideal for obscuring direct visibility while allowing excellent light transmission. The 426 Fire Etch is an embossed vinyl film with a pattern of small flames. This product is ideal for semi-obscured direct visibility while allowing good light transmission. 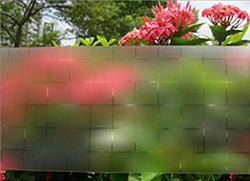 The 427 Rice Etch is a transparent film. It is an excellent simulation of rice paper and objects can be seen through the film. It offers great light transmission and a beautiful, rich look.